ED Noor: As a woman well past her child-bearing years, this does not concern me so much since I only discovered stevia a decade ago. However, this DOES and should concern all women who consider having babies in the future. That the depopulation proponents were discussing stevia as a sterilant back in the 1970’s was a surprise but then, not so much. I don't plan to go all conspiracy theory here, because some things do just happen, although feel free to toss in all the doubt you are comfortable with doling out. To be honest, when compared to the alternatives stevia is a hundred thousand fold better than the alternatives offered the public. However, this new/old information must be disseminated and a warning should be included on all packaging. I am still using the stevia I grew myself by my window last summer... Are these effects of stevia irreversible or permanent? These things must be studied. Maybe it's not so sweet now... If you've thought stevia, the natural alternative to sugar and artificial sweetners with aspartame, et al., is too good to be true, there may be a catch. Check out this textbook written in 1970 by Paul and Anne Ehrlich, the precursor to the textbook Ecoscience they wrote with Obama Science Czar John P. Holdren seven years later. The book advocates all manner of horrors to depopulate what they consider an overpopulated world, including everything from adding sterilants to the water and food to producing a sterilizing virus that requires a vaccine antidote one could apply for... it's a nightmare. As such, it was pretty shocking to find a passage where the authors excitedly discuss using stevia rebaudiana ~ the same sweet leaf hailed everywhere today as a wonderful, healthy sugar alternative ~ as an anti-fertility agent. Now I come across this, a much more common sense article on this matter. Our conclusion? At this point, there is no evidence to support the claim that Stevia can – or does – cause a decrease in fertility for either men or women. 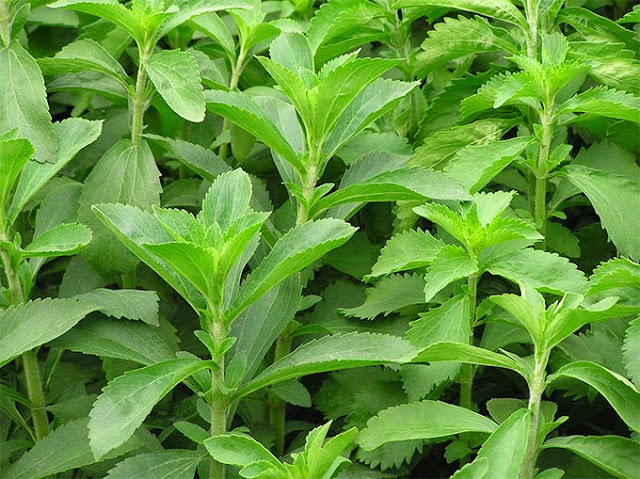 Stevia may be a very useful herb for women who have PCOS and are seeking an alternative to using sugar in their diets. In short it seems that most modern day research shows no evidence that Stevia will decrease your fertility or that it can be used for contraceptive purposes. While this all-natural sweetener appears safe for human conception, it is important to note that if you personally are worried that it could have an impact to your fertility it is best to avoid it. After all, the stress of wondering whether or not it is keeping you from getting pregnant could in itself impede conception.